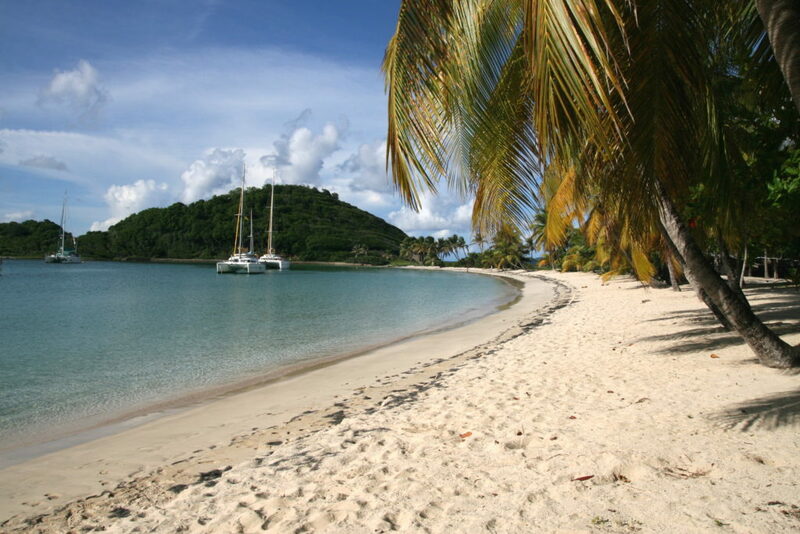 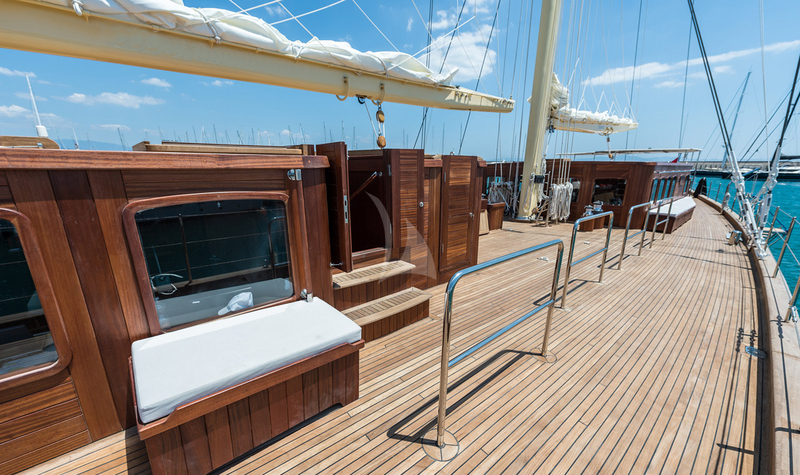 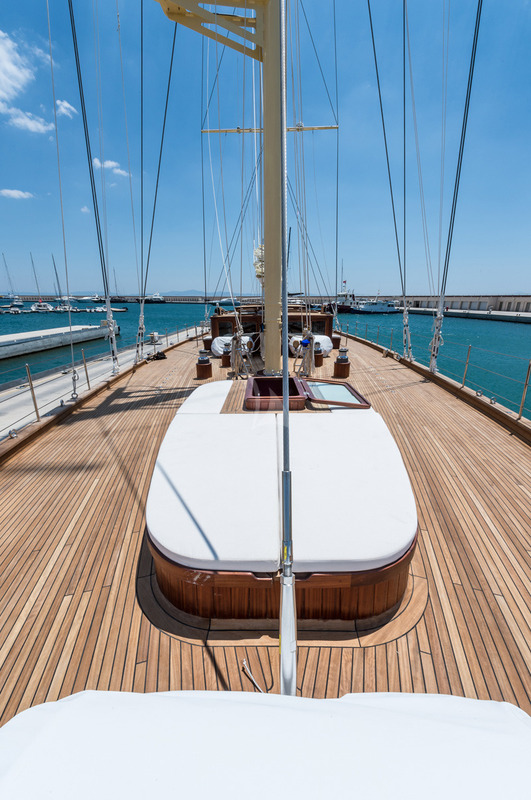 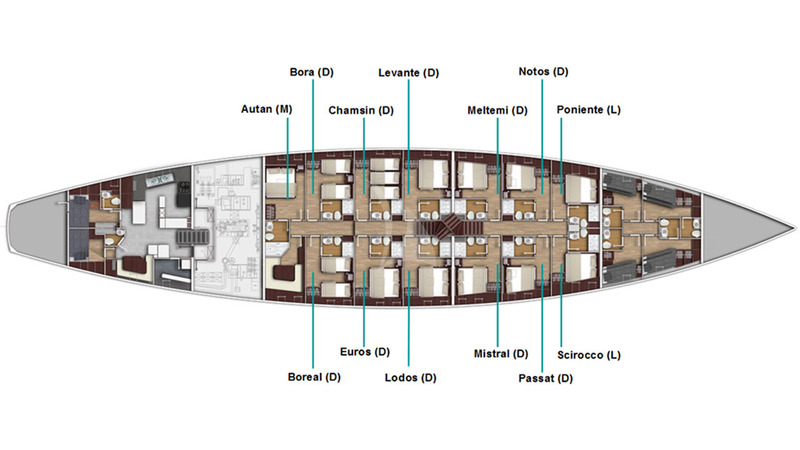 54 m sailing yacht from 2013 with 13 cabins for up to 26 guests in the West Med and Caribbean. 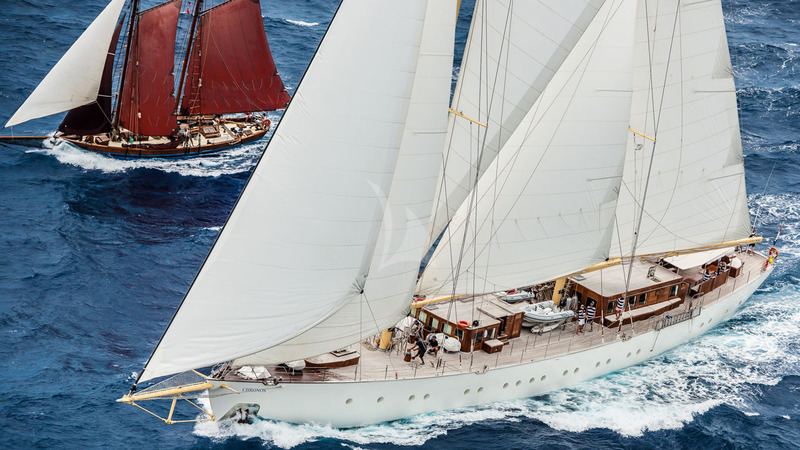 This extraordinary sailing yacht is a dream come true. 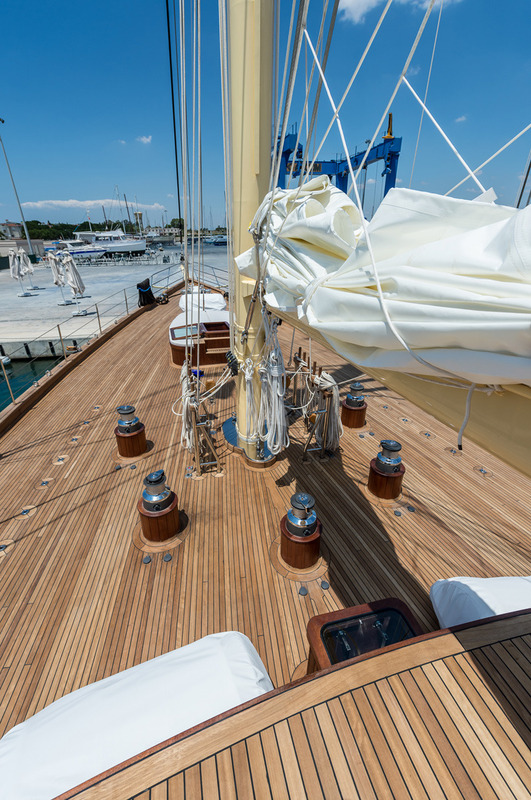 A long story of sail passion led to the construction of this beauty with 1000 m2 sails surface, a modern navigation technique and an excellent performance (15 knots max. 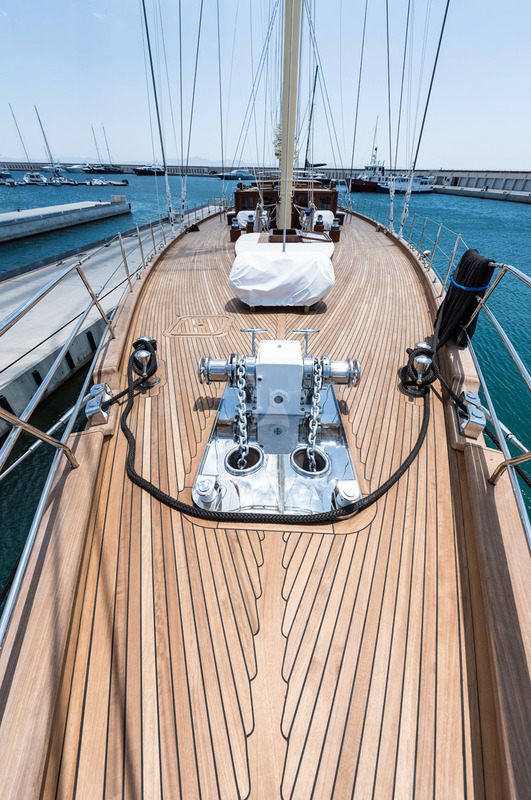 speed). 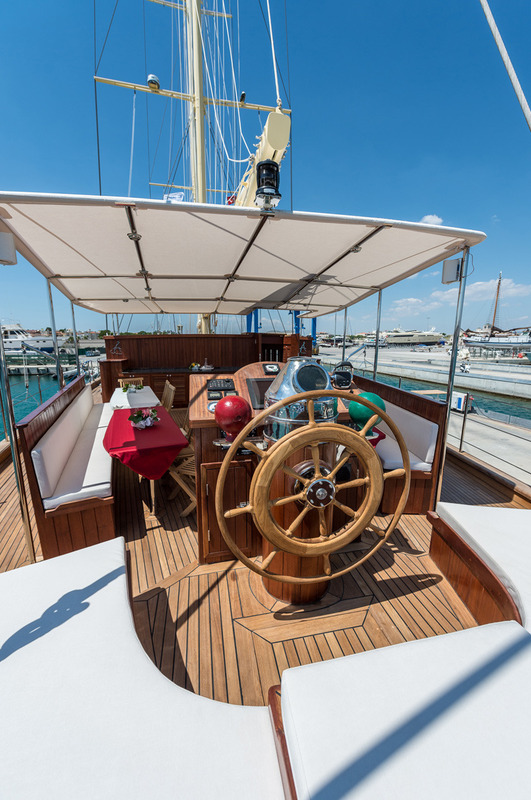 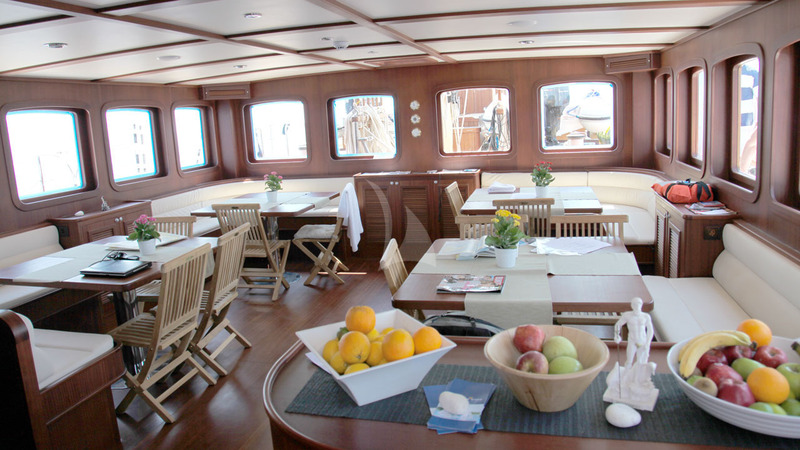 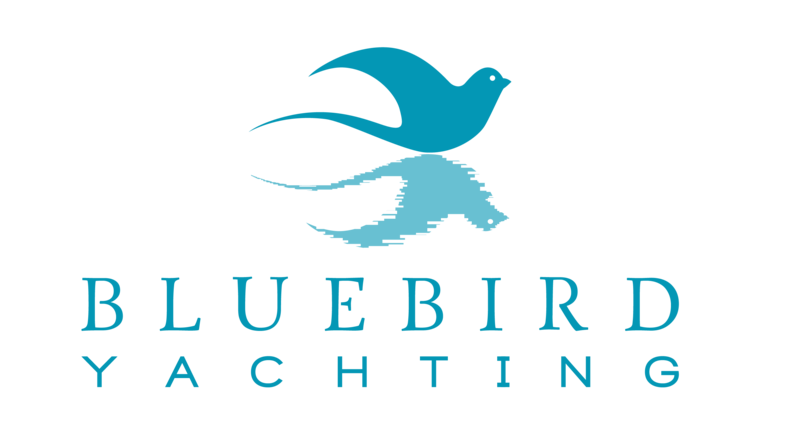 A super yacht with many water sports, a welcoming crew of 8 and a splendid design. 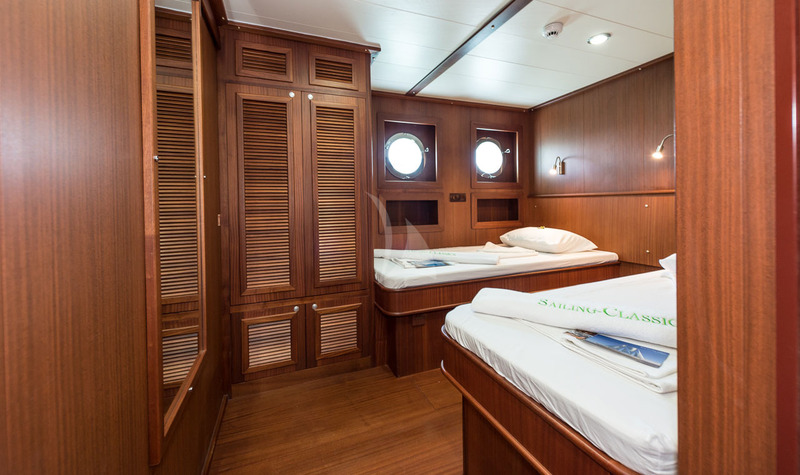 Thanks to its registration as a small commercial passenger ship, it can accommodate big groups of friends, families or business turns. 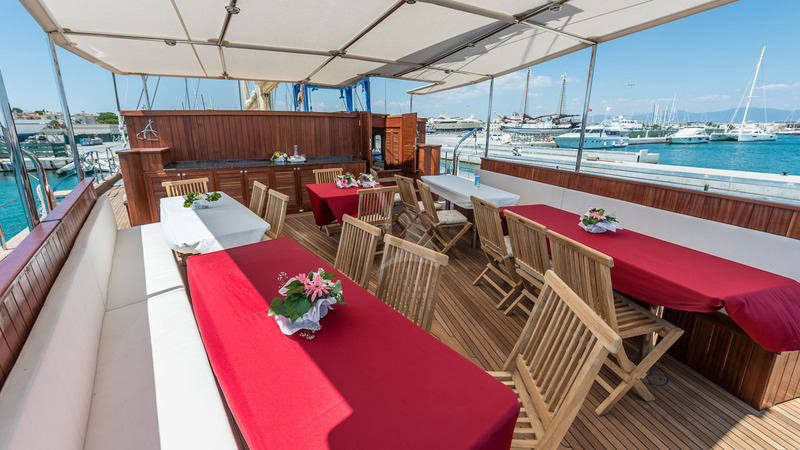 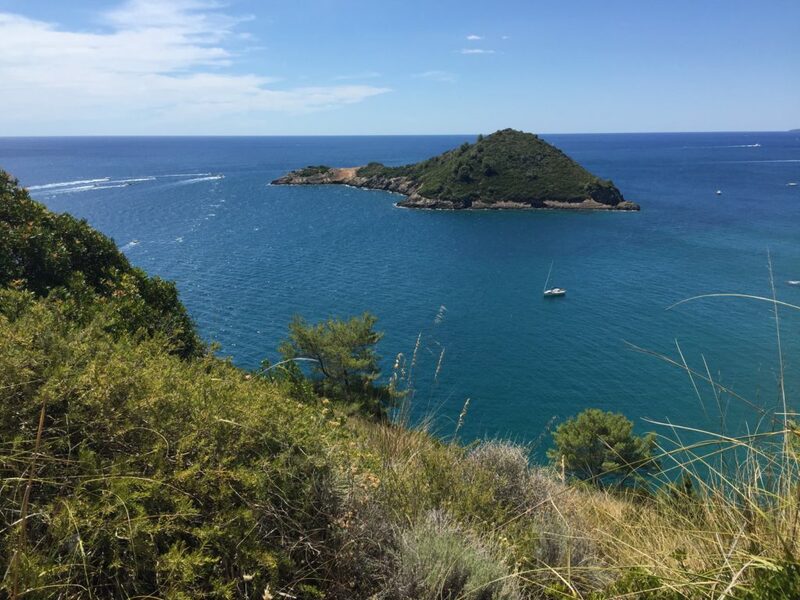 The vessel has a busy schedule that includes different destinations and is available either for private yacht charters than for cabin charter. 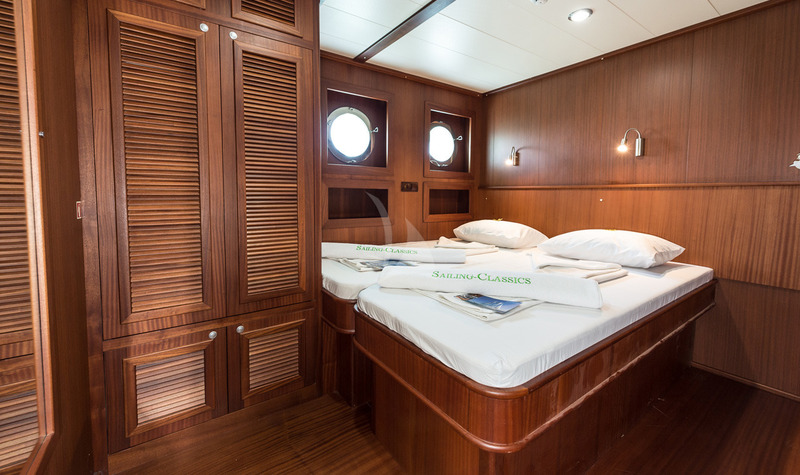 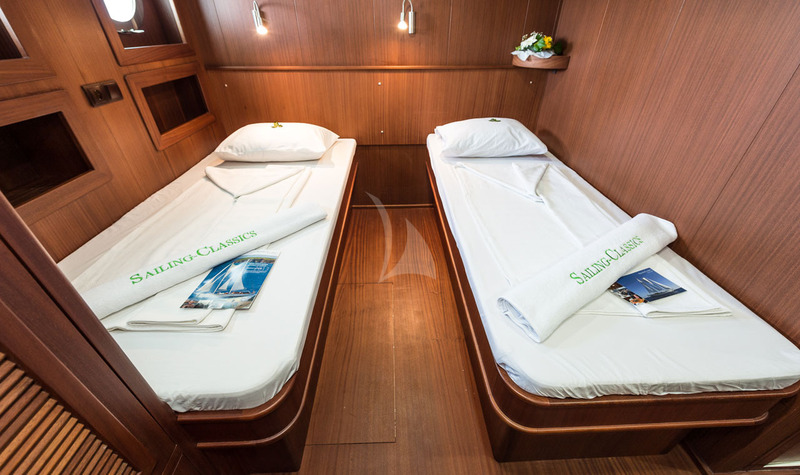 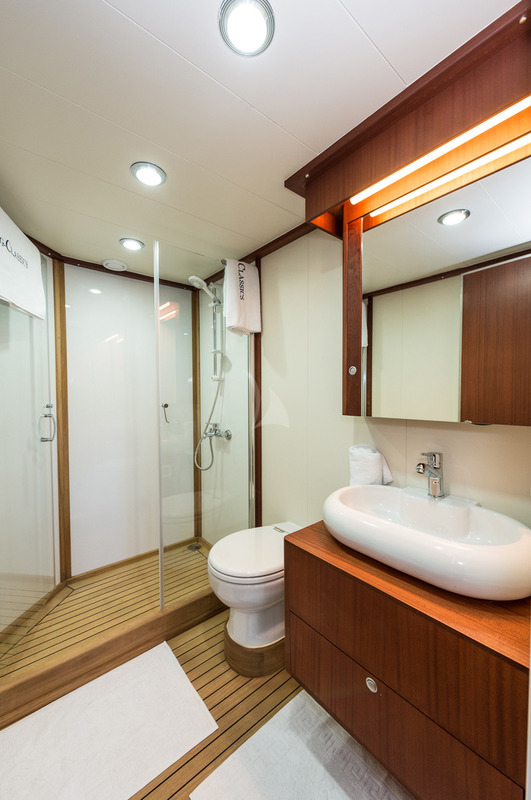 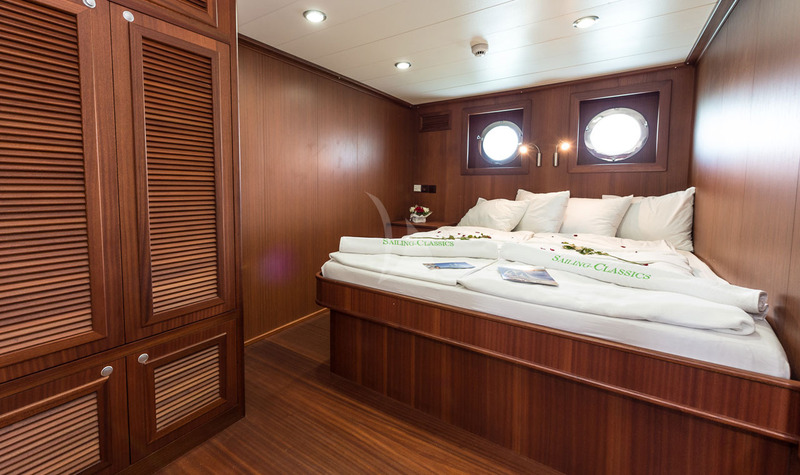 The 10 Deluxe cabin beds can be transformed in to family beds (extra 10 guests).